6:00pm - 8:00pm NEW Ladies Study- Topic and Start Date TBA Soon! Fitness & Yoga classes are $10. Purchase a class card and each class is only $8. 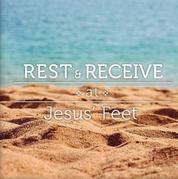 ​Experience Retreat With Jesus in Daily Activities at Come To The Well! Refresh with some quiet time in the Prayer Room. Lay your burdens down. Enjoy a meditative quiet resting place. Refresh your spirit with God. Come join making Little Dresses, a mission project that we create right on site at Come To The Well. If you have a desire to share your hands in creating special garments for special little ladies around the world, than join us on Tuesday mornings. No experience necessary!